Denver - Denver Archbishop Charles J. Chaput announced today that the archdiocese has settled nearly all of the claims of sexual abuse by priests through a mediation program, resulting in payments of $5.5 million for 18 separate claims. At a press conference held at Bonfils Hall on Friday morning, Archbishop Chaput explained that all of the lawsuits against the archdiocese were connected to the deceased priests Harold Robert White and Leonard Abercrombie, with one exception. The alleged abuse by the two clerics occurred between the years 1954 and 1981. The claims of sexual abuse against the two priests began to be made in August of 2005. Upon learning of the accusations, the archdiocese sought to mediate the claims rather than resort to the courts. The mediation process initiated by the archdiocese, which began in May 2006, was led by retired Judge Richard Dana, and also included an independent mediation panel consisting of Littleton, Colorado Chief of Police Heather Coogan and rehabilitation specialist Jack Dahlberg. 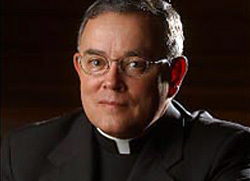 Participation by the abuse victims in the mediation program was voluntary, but according to Archbishop Chaput, "the majority of cases were resolved" through the process. The total amount paid by the archdiocese was $5,505,000 to settle 18 separate claims. Following today's announcement, the Archdiocese of Denver now faces only two lawsuits related to sexual abuse by priests. Speaking about the mediation process on Friday morning, Archbishop Chaput said, "It is my hope that these settlements help the victims and their families to heal." He also explained his role in trying to bring healing to the victims, "I've offered to meet personally with every victim. Some of them have responded to this request. I've also met with some of their family members who have been open to meet with me. "… "I wanted to apologize to them personally on behalf of the Church and also to express my own personal sadness over the pain in their lives and the pain of this experience." When asked why the Church turned to mediation instead of going through the court system, Archbishop Chaput said, "Litigation is fighting, it's legal combat in some sense, and we don't think healing comes about very well through litigation. We think meditation is a much better way to bring healing, especially if we have the chance to sit down and talk. Many of the victims did speak to me about their anger at the Church, at me, certainly at the priests who were involved in it, and I had a chance to apologize to them. I think that kind of human engagement is very helpful towards healing and I hope it's the beginning of a restored relationship with the Church for those who wish that." The archbishop also revealed that the most recent settlements involved the archdiocese taking the "unusual step" of opening portions of Robert White's file to his victims. While he emphasized that the archdiocese has "always defended and will continue to defend the right to privacy of all our archdiocesan personnel," Chaput said that he "took this step at the insistence of victims and to secure closure for them." Among the facts revealed by the file are: "prior to 1981, White engaged in wrongful behavior," that decisions were made 25 years ago by archdiocesan officials that would "not satisfy current archdiocesan policies for handling allegations of sexual abuse" and finally, "after 1981, White's file contains no evidence of abuse by him," the archbishop said. Archbishop Chaput also described how the Church's treatment of allegations of sexual abuse has changed, saying, "White's file, despite its painful content, stands in sharp contrast to the life of our Church. For the last 20 years, the archdiocese has worked hard to understand the nature of sexual abuse, to prevent it and to protect our children from it. Our strict policy is that no priest, deacon or lay employee with a credible allegation of sexual misconduct with a minor is allowed to minister in our archdiocese." The leader of the Catholic Church in Denver closed his statement on the settlements by calling for continued support for the abuse victims. "These past experiences of sexual abuse have been tragic for those who've endured them and for the wider Church community. Victims need our help and support for their continued healing. I'm grateful that they've accepted mediation and I continue to pray they find peace in this resolution."